Distance learning has exploded which means you really can stay in school forever. And you can make new school friends by joining us for our live, in-person, Sunday afternoon discussions. Our winner was the philosophy/history/art class Ideas of the 20th Century, although the two edX science courses under consideration scored almost as high, so we may do one of them next spring or fall. They are The Science of Cooking and Introduction to Human Evolution. We will consider Comic and Graphic Novels for a subsequent semester. Sign up for our Sunday sessions here, not required but it gives us a way to contact you with additional information about the get-togethers. Fantasy and Science Fiction: The Human Mind, Our Modern World will meet Sundays, possibly at 4, beginning some time in October. The class itself begins October 7th and lasts for 11 weeks. Sign up for our Sunday sessions here to get additional details. Everything is free, and we make the coffee. We have almost all of these books and stories here at the library, even Herland. The library and computer rooms will be open Saturday, closed Sunday and Monday. 100 years ago women in Maryland, in much of the U.S., were not yet allowed to vote. They marched, they demonstrated, they picketed the White House, they were jailed. They raised a mighty roar. You could validate their struggle by remembering to register and to vote. You could even run for office. We have registration forms at the library. Isn't one of those Maryland suffragettes on roller skates? Maryland itself did not ratify until 1941 and that wasn't certified until 1958. Of course in DC women are still waiting for full suffrage. Who marched in the great 1913 parade in Washington? Nellie Bly, Ida B. Wells-Barnett, Helen Keller, and at least 8,000 others. They were abominably treated by both the DC police and the crowd. Read an interesting blog written by the granddaughter of a suffragette. Update: Sorry, we've been told the Lions Club had to cancel Bark n' the Park. Contest entry $15, which benefits the Lions Leader Dog Program for the Blind. And there will be all sorts of contests. Longest catch distance, fastest tail wag, best costume, etc. etc. Sponsors include Dale's Dog Grooming, The Big Bad Woof, The Dog Stay. Massive Open Online Courses are free and readily available through edX, Coursera, and other web based education sites. Interested in trying one out? Our computer center staff can help you get registered and help you navigate the course structure and resources. Want to add that face-to-face experience to your online learning? We will select a class or two and host weekly gatherings to give you a chance to do just that. Interested in one or more of these courses? Let us know! Not sure? Try the edX demo, 15 to 20 minutes, just to see how the classes work. Last spring we did the HarvardX class Ancient Greek Hero and now talk knowingly of sema and psukhe, of kleos and nostos. And we look expectantly at construction pits. On Wednesday August 21st the City will again auction off refurbished staff computers. Each has the Windows 7 operating system, Open Office software, Adobe Flash, sound, virus protection, at least 2GB memory, keyboard, mouse and a flat screen monitor. $70 and up. The computers will be on display in the rotunda area of the computer center. 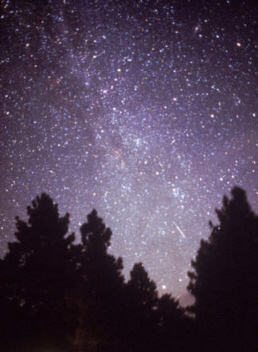 Tonight and tomorrow night, watch the great Perseids meteor shower. And this year it isn't raining! If you can get out of town to someplace less light-polluted, do so. Best watch time is after midnight, give your eyes a long time to adjust to the darkness, sit back and look toward the northeast, toward Perseus (though actually, the meteors come from the orbit of the Swift-Tuttle comet). Can't remember who Perseus was and what he did? Please visit our Audiobookcloud and listen to Padraic Colum's The Golden Fleece and the Heroes Who Lived Before Achilles. Shield your video display and listen in the dark while your eyes adjust. NASA will have a live webcast and chat tonight, for those with too much light pollution. Or too many mosquitoes. Update: Sorry, it was cloudy during the early AM of the 11th. According to the NSW, the best chance of some clearing will come at around 5 AM, just before dawn, on the 12th. Do you need to take a standardized exam? Want practice tests and books? We now subscribe, on your behalf, to the Testing and Education Resource Center. Please try it out. Our print copies of the books are usually all checked out, or out of date, or in shreds. Perhaps someone has already filled in the answers. Probably incorrectly. You can even find information on scholarships here, as well as in the Career Guidance Center, another of the online tools we offer. The Career Guidance Center not only has extensive information on college planning and financial aid, it can also help you find internships, apprenticeships and summer jobs. This is also the place to find solid, reliable information on résumé preparation, cover letters and interviews. And don't forget the six volume College Blue Book whcih we also have in print. It is a classic reference source.